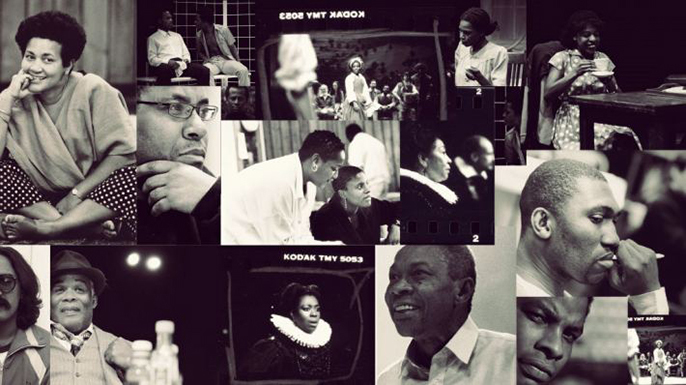 In this series Natasha Bonnelame (until recently the Black Plays Archive Project Manager at the National Theatre), will be joined by guest speakers including Lynette Goddard and Topher Campbell, to explore a diverse collection of plays from dramatists of African and Caribbean heritage. Combining performances, clips of past productions and lively discussion, each session will examine a topic, from decolonisation to sexuality, protest theatre to cosmopolitanism. Plays covered: Nice by Mustapha Matura, Long Way from Home by Yemi Ajibade, Blest be the Tie by Donna Daly and The Hounding of David Oluwale by Oladipo Agboluaje. Plays covered: Money to Live by Jacqueline Rudet, Running Dream by Trish Cooke, A Rock in Water by Winsome Pinnock and Fishing by Paulette Randall. Plays covered: A Season in the Congo by Amie Cesaire, Foriwa by Eufa Sutherland, The Trial of Dedan Kemathi by Nguigi wa Thiong’o / Micere Mugo and Death and the King’s Horsemanby Wole Soyinka. Plays covered: Play Mas by Mustapha Matura, Black Jacobins by CL James, Maskarade by Sylvia Wynter and The Dragon Can’t Dance by Earl Lovelace. Plays covered: Sizwe Bansi is Dead by John Kani / Winston Ntshona, Township Stories by Relativity, Bopha! by Percy Mtwa and The Hungry Earth by Maishe Maponya. Plays covered: Chiaroscuro by Jackie Kay, Sin Dykes by Valerie Mason-John, Boy With Beer by Paul Boakye and Bashment by Rikki Beadle-Blair.